Star Wars: The Force Awakens had a scene where Rey gets a vision after holding the Skywalker lightsaber, and it has a little throwback to the duel on Bespin from Empire Strikes Back. 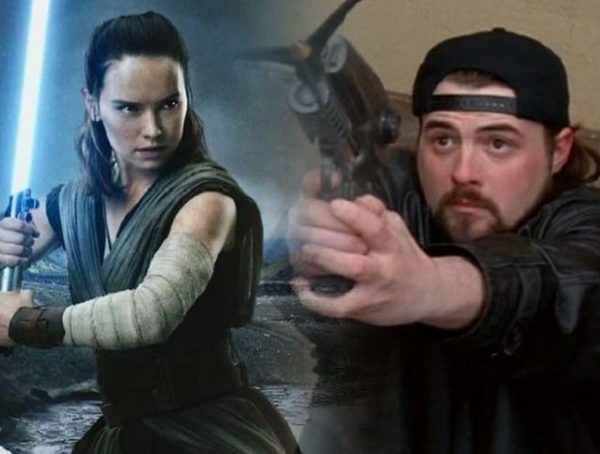 The scene was originally supposed to feature Luke Skywalker and Vader, and thanks to Reddit, we have a leaked image online of actor Robert Boulter in costume as Luke in the flashback scene. I’ll admit, the proportions of the suit look a bit off, what with Boulter looking a bit overweight and the cloth on his sleeve looking too baggy. Until someone makes an official explanation, I’m just going to think that the photo was taken at a weird angle, or Boulter just wasn’t in physical shape yet to start shooting. 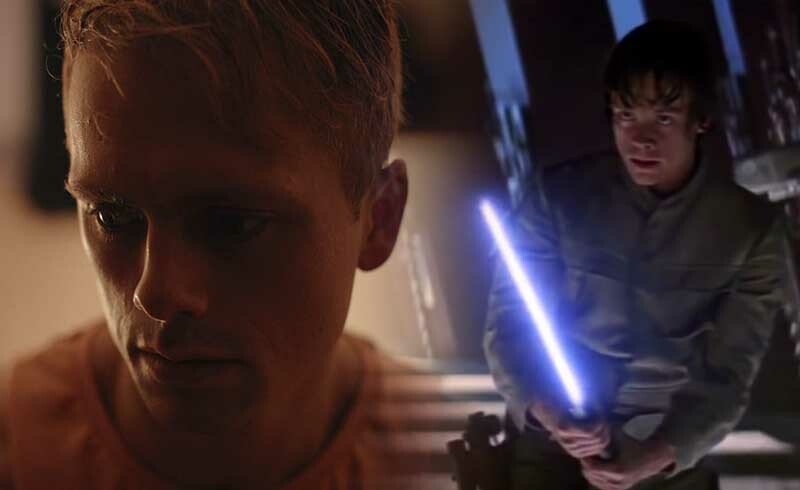 [The scene with Luke] was initially conceived as showing how the Skywalker lightsaber ended up in Maz’s hands, starting with a flashback scene of Luke losing it – along with his hand – on Bespin from a different angle. 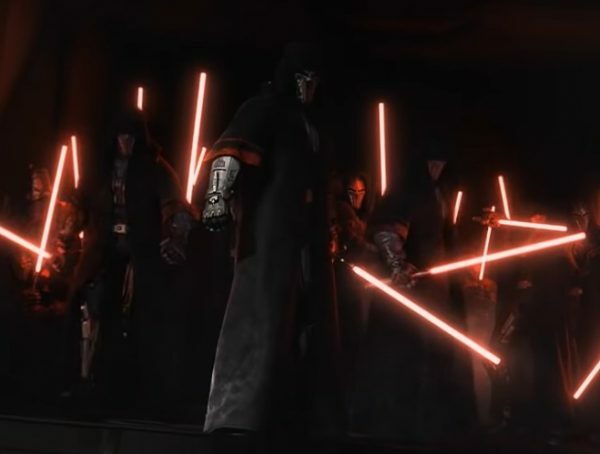 The vision would also double as an explanation of how Kylo Ren fell to the Dark Side, and the two storylines would intersect with Kylo Ren obtaining the lightsaber from the village he raided with the other Knights of Ren, and Maz managing to steal it back from them while they were resting. (This would also explain Kylo Ren’s entitlement to have the weapon when Finn uses it against him.) 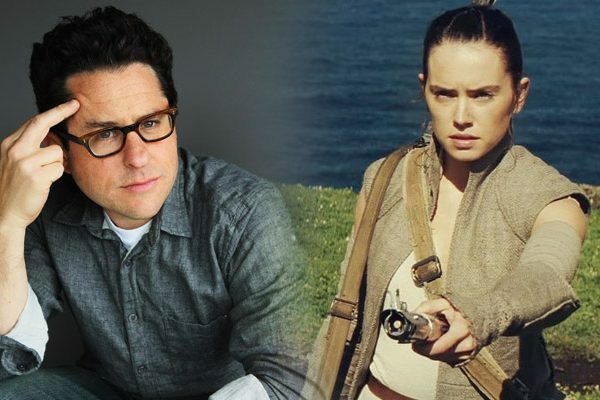 In the final film, it’s just a series of confusing visions activated by Rey’s latent Force abilities that hints at many of the same elements the original sequence was going to spell out, told instead in an esoteric fashion. While The Last Jedi did answer some questions left by The Force Awakens (sort of), the story of how the lightsaber ended up in Maz’s castle is still a mystery. Hopefully that question is answered in Episode IX, but then again, I’m hopeful that the film doesn’t end up just being one long explanation for things like some fans wanted The Last Jedi to be. Rian Johnson subverted all expectations fantastically, and I hope Abrams follows suit with the sequel. Maybe they can even call Boulter back to reprise the role of young Luke? He must’ve been disappointed to be cast and never even make it onscreen.